Nicholas Allan is the author/illustrator of over 30 children’s books. When he was 12 he made a model of a galleon out of a walnut shell which was exhibited at the Royal Academy in London. Nicholas worked as a waiter, three weeks in a publisher’s office and as a part-time teacher of a life class before he published his first book, The Hefty Fairy (1989). Since then he has been a full-time writer and illustrator. Many of his books are bestsellers, including The Queen’s Knickers, Father Christmas Needs a Wee, Jesus’ Christmas Party, Cinderella’s Bum, Heaven, and Where Willy Went. His books have won awards and been translated into twenty languages (see below). He is also the author of Hilltop Hospital, a book that has been adapted into a BAFTA-winning television series for CITV. The series has been shown in over forty countries. His books have been adapted into West End musicals, including The Queen’s Knickers, The Giant’s Loo Roll, and Father Christmas Needs A Wee, the latter touring annually. 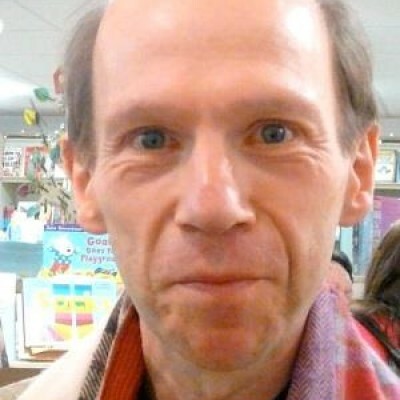 Nicholas has been the Chairman of the Society of Authors’ Children’s Group and is currently the Patron of the Isle of Wight Literary Festival’s Youth Programme. He has made many appearances on television and radio. He is also the author of The Complete Guide To Gatecrashing and one novel The First Time.